Tours in green type have been finalized and are linked to pages with detailed itineraries - just click to see full details! Tours in gray type are tentative or in final planning stages. These are subject to change and could be eliminated from the schedule. Tours in red type are Custom Tours. Click on the link to find details and then contact us to see if spaces are available on these tours. We can arrange custom tours for 6 or more birders to any of the destinations on the schedule below, or to Australia, India, Thailand, Belize, Guatemala, Colombia, Argentina, Brazil, British Isles, Spain, Sri Lanka, Nepal, or Peru. We also offer custom group tours to US birding sites, including Arizona, Texas, California, Florida, North Dakota, and Maine. Check out some sample itineraries HERE. We have a limited number of trips each year, and they often fill quickly. 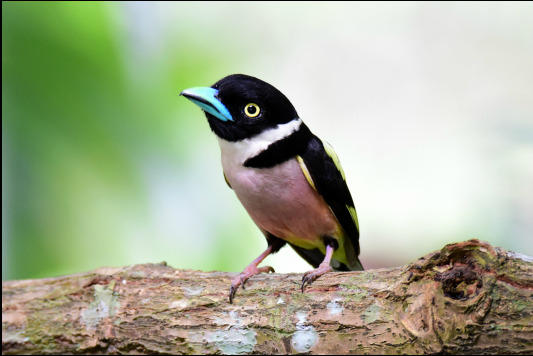 MARCH JAMAICA - Island Endemics FULL! PANAMA - Canopy Tower & Canopy Lodge FULL! MAY Biggest Week in American Birding - See you there! NORTH DAKOTA - Private tour - FULL! AUGUST ​ BORNEO​​ - FULL! SEPTEMBER SINGAPORE & PENINSULAR MALAYSIA - Extension to Borneo tours FULL! NOVEMBER Rio Grande Valley Birding Festival - See you there!